This official Samsung starter pack consists of three essential accessories to enhance your smartphone usage and unlock the full potential of your Galaxy S8. Included in the pack is a wireless charging pad, a clear cover case and a screen protector for your device - allowing you to charge completely cable-free while also protecting your device from scratches, scrapes and knocks. Wireless charging is convenient, clean and completely free of tangles or annoying long cables to trip over. 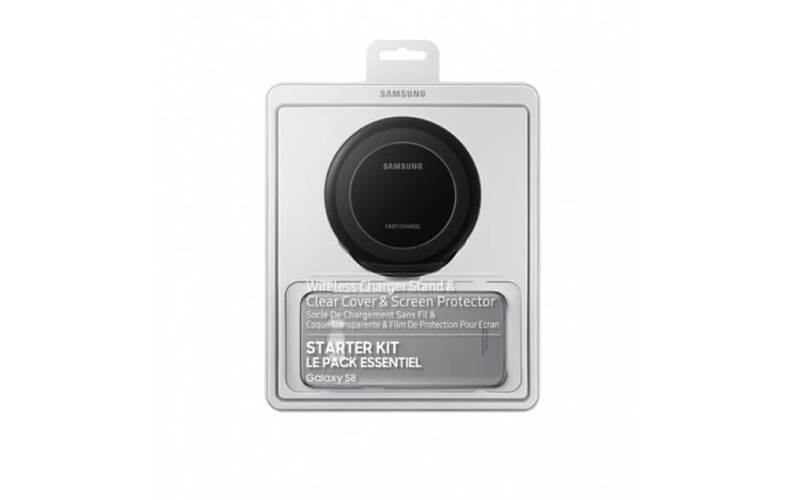 Take advantage of your Samsung Galaxy S8's wireless charging capability with this official Qi pad, which will have your battery back to 100% from flat before you know it - all without a single wire. You need your Galaxy S8 to be protected from the elements while you're out and about, or even while you're just relaxing around the house. That's why Samsung has included a clear cover case for your device in this pack, so you can still enjoy the beautiful design of your phone while enjoying added protection with minimal bulk. Arguably the most attractive element of the Galaxy S8 is that gorgeous Infinity Display - so the last thing you want is for your screen to incur any damage. The screen protector included in this pack will make keys, coins or anything else that's in your pocket alongside your phone a problem of the past - you're free to carry your device wherever you go, knowing the screen is as pristine as on the day of purchase. 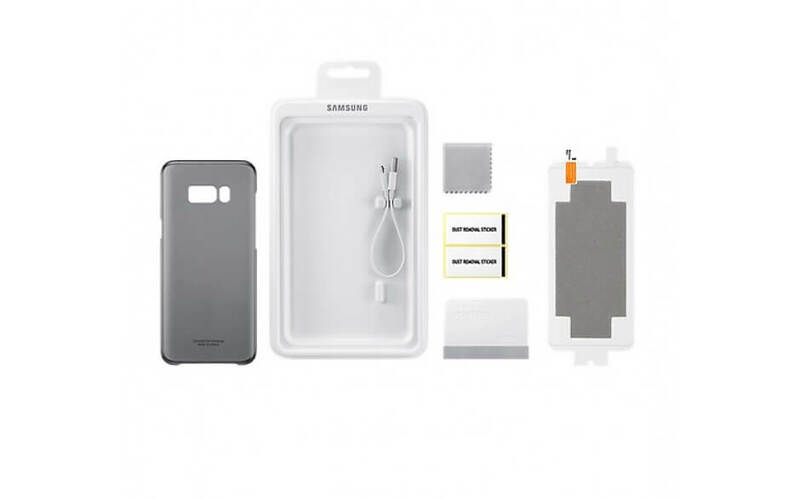 As these accessories have been designed and made by Samsung, you can be sure of perfect compatibility and utility with your Galaxy S8, as well as the same ultra-high standards Samsung applies to all stages of the design and production process.